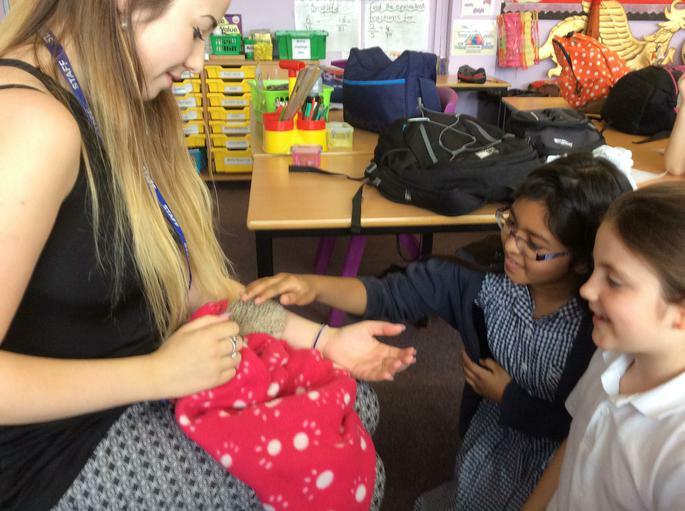 Wildlife club is one of the clubs on offer on a Friday afternoon at St Marks - it has always been popular with the children. 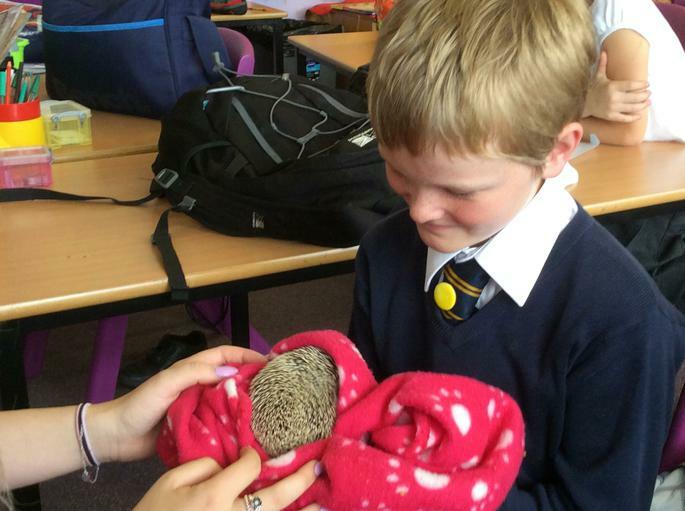 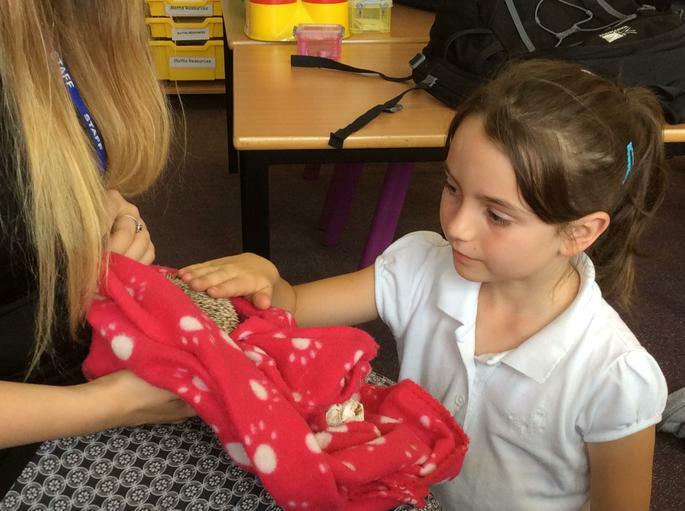 Recently, our wildlife enthusiasts had a special treat when one of our members of staff (Miss Townsend) brought in her African Pygmy Hedgehog for the children to see. 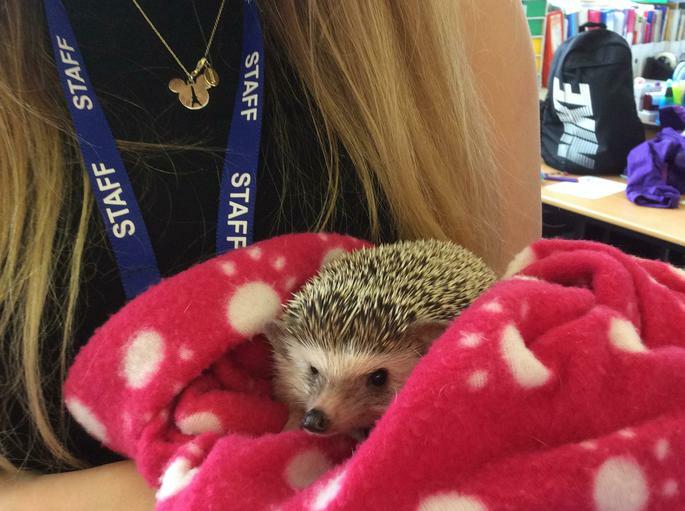 The hedgehog was, of course, domesticated - it is illegal to keep wild hedgehogs because they are an endangered species. 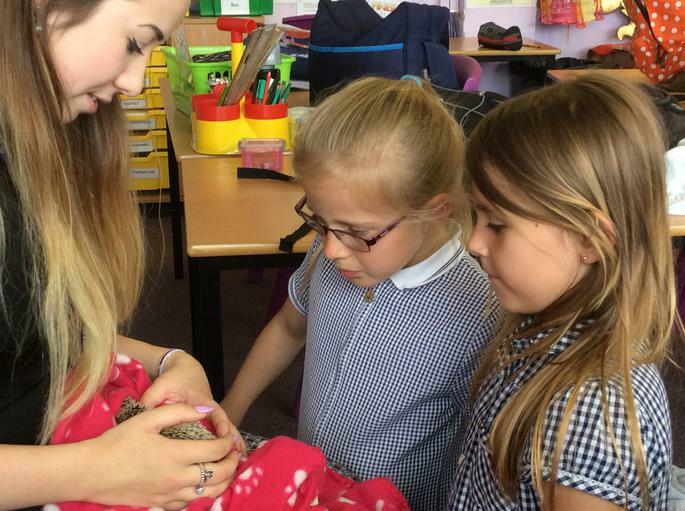 Anya (a very keen member of wildlife club) said: "When Miss Townsend first brought it in, it was nervous but it soon got used to us. 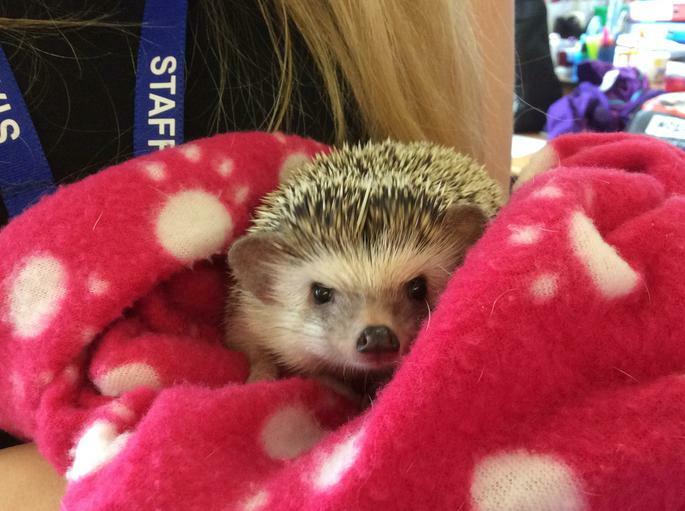 We had to be very quiet so as not to frighten it - it was very cute. " 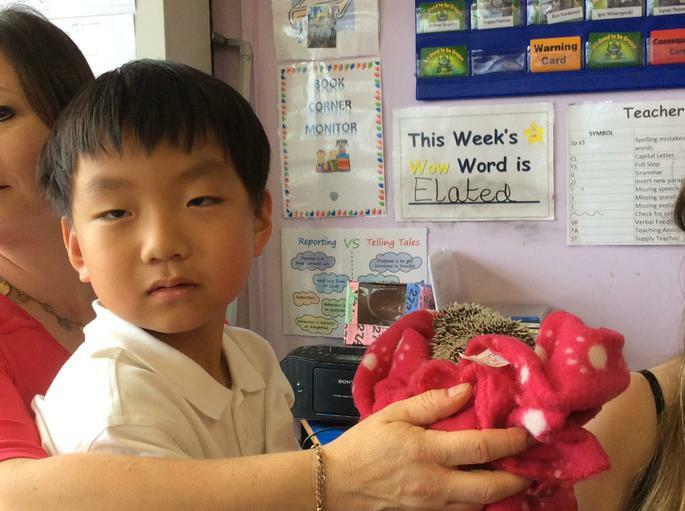 Ana (class 4) added: "The hedgehog ate insects just like wild hedgehogs do. 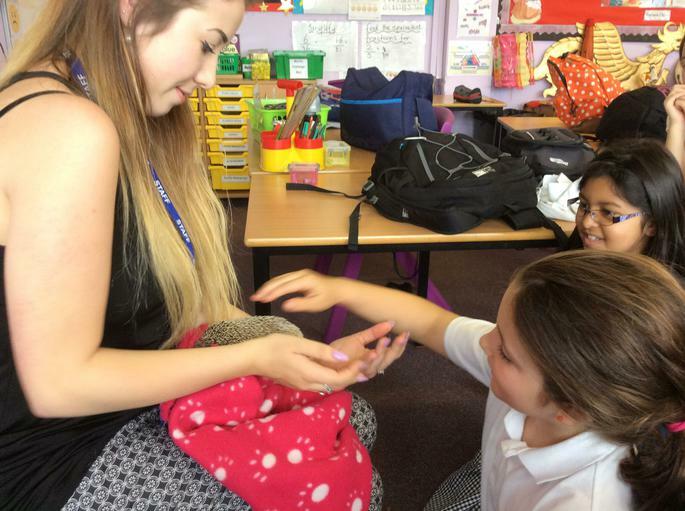 At wildlife club we made a hedgehog den for wild hedgehogs - we used a cardboard box covered with a plastic bin bag. 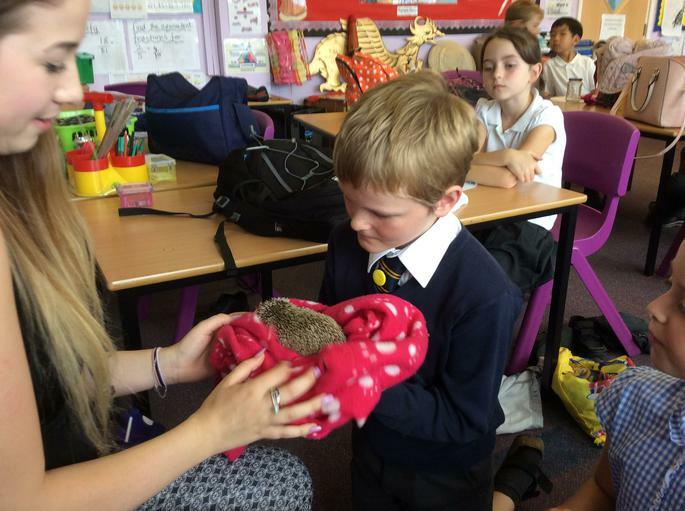 We used a bin bag to keep it dry but had to put holes in it so the hedgehog could breath."